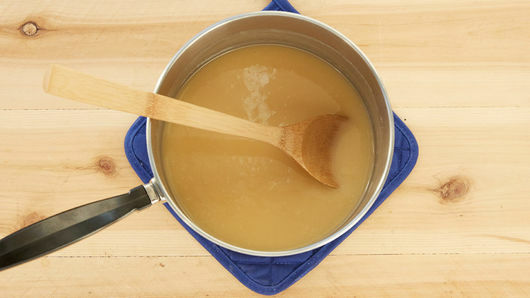 In 3-quart saucepan, cook sugar, butter and evaporated milk over medium-high heat 4 to 6 minutes, stirring frequently, until butter is melted. Heat to boiling; reduce heat to medium. Boil 5 minutes, stirring constantly. Add baking chips; cook 2 to 3 minutes, stirring until chips are melted and smooth. 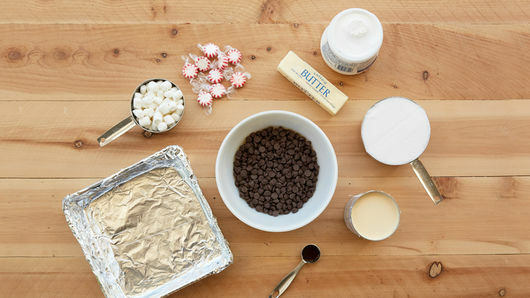 Remove from heat; stir in marshmallow creme and vanilla until well blended. Pour into pan; spread evenly. 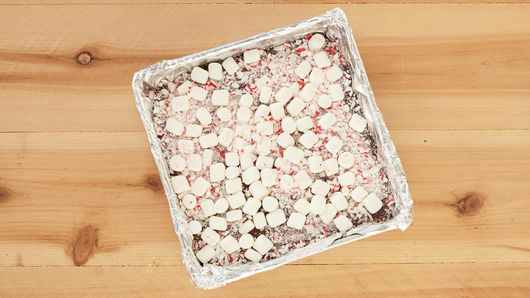 Sprinkle with marshmallows and peppermint candies. Refrigerate about 4 hours or until set. Cut into 6 rows by 6 rows. 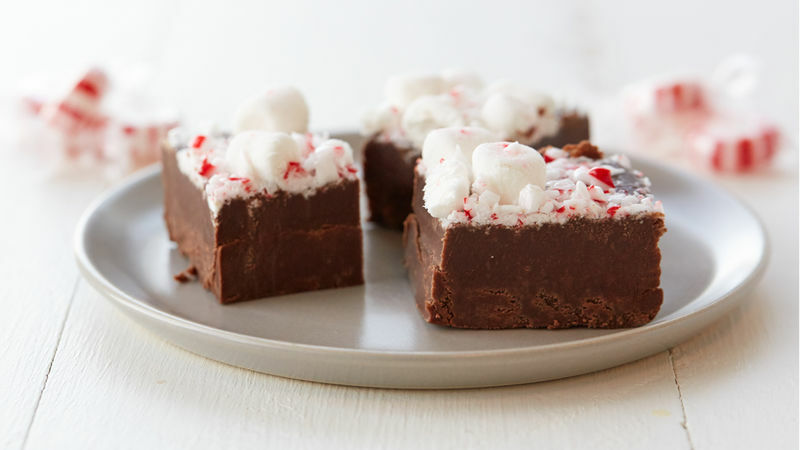 Place pieces of fudge in candy papers or condiment cups for a festive presentation.